Robotics is a great way to get student excited about science, technology, engineering, and mathematics (STEM) topics. Studies show that it is highly effective in developing team-work and self-confidence.We are using Arduino-based robot as our teaching material which is low cost and widely used in University level and world wide. Also, our beginner robot kit -- Inno (Arduino-based block building robotics kit) is consulted by University of Malaya. 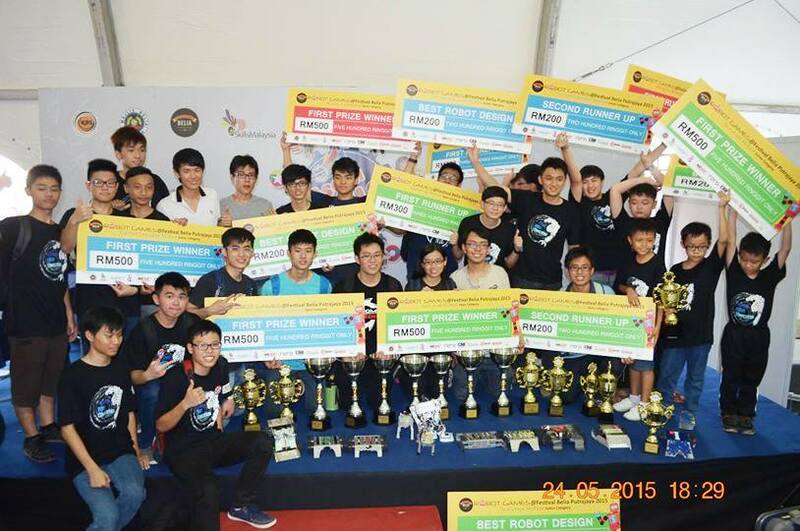 The 2016 Malaysia Robotics Competition (MRC) brings together robotic enthusiasts to share their knowledge as well as gain experience by means of friendly and healthy robotic competition. Participants take the responsibility to design, manufacture, assemble, perfecting their robots and at the same time, brush up their skills in robotics. They will compete against their peers in a specially designed game field. The winner of the competition will be the team whose robot is the top survivor in a series of head to head elimination rounds. Venue: MIECC, Mines, Seri Kembangan, Selangor. The 2nd Fighting Robot Competition (FRC) 2016 offers robotics hobbyist and Malaysia’s student an opportunity to learn by means of a friendly competition against their peers where they take responsibility for the design, assembly, and performance of a battle robot that will fight all out with opponent’s robot in a specially design game field. The winner of the competition will be the team whose robot is the top survivor in a series of head to head elimination rounds. Robotedu Store provide robotics solution for Malaysia Robotics Competition and Robotics Educational Kit. We believe our educational kit able to assist student to learn faster and effectively, then apply it into our real life.